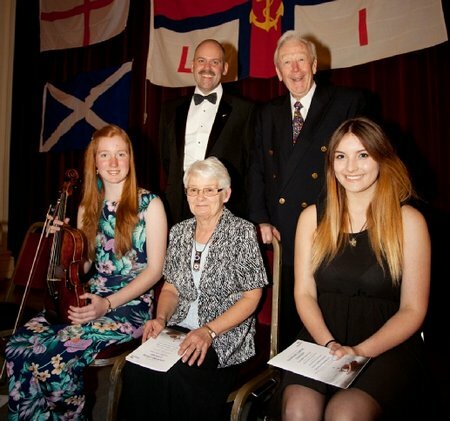 Weston-super-Mare RNLI Volunteers do their duty when most are celebrating Christmas. The picture show both lifeboats with the casualty in between. 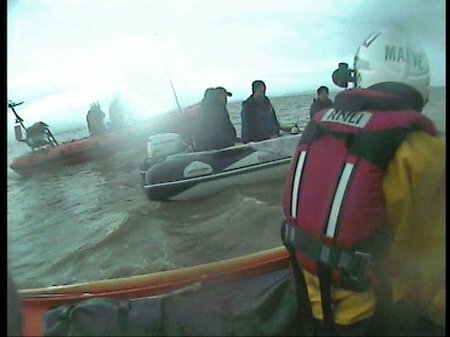 The RNLI crews at Weston-super-Mare were called away from their families three times during the Christmas holiday. 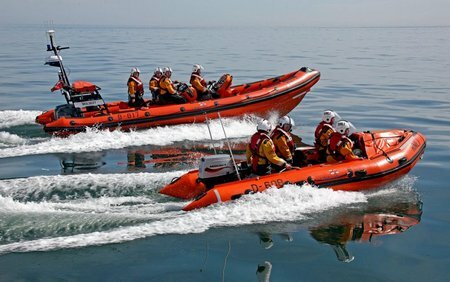 Sunderland RNLI amongst a host of rescue services in tidal rescue. Both Lifeboats from Sunderland RNLI were in attendance at ‘Cat and Dogs’ beach this afternoon after it was reported two people and a dog had become cut off on the beach and cliff wall by the rising tide. 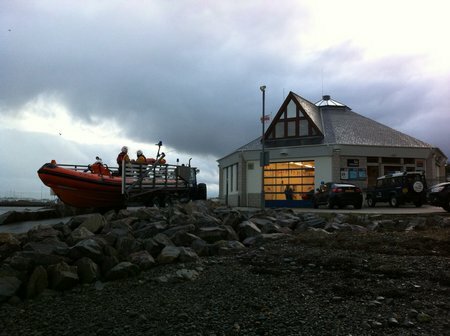 Almost exactly 24 hours after they were last paged to launch their RNLI Lifeboat the volunteer crew of RNLI Kessock were again this morning (Saturday 29 December) woken at 4.34am to the sound of their pagers requesting they launch the Lifeboat. 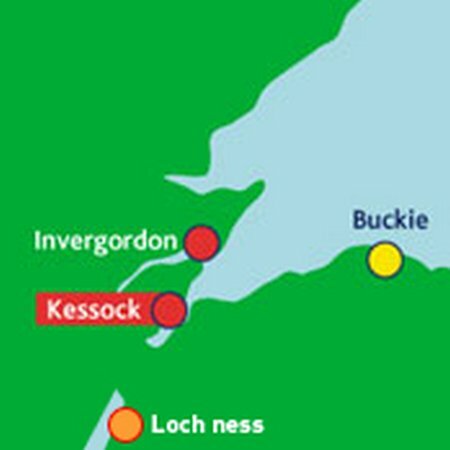 Following the discovery of a red Renault Clio car abandoned on the Kessock Bridge in the early hours of Friday 28 December the volunteer crew of RNLI Kessock were tasked to conduct a search of the Beauly Firth for a missing person. 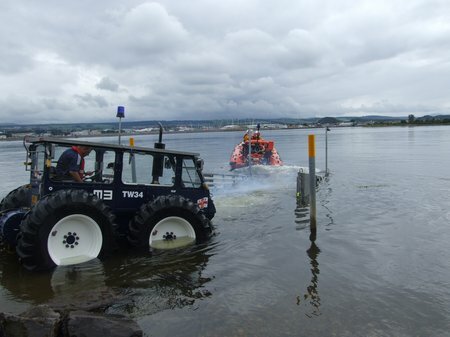 The volunteer crew of RNLI Kessock were paged to launch the Lifeboat on Thursday morning (27 December) at 8.12am to search of the Inner Beauly Firth following reports of a missing person from Beauly. 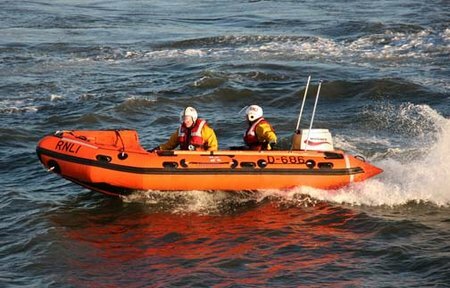 At 14.51hr on Thursday 27 December 2012, Seahouses Lifeboat was requested to launch by Humber Coastguard following a request from the North East Ambulance Service, to convey an ambulance crew to Holy Island, where a female patient was ill and required medical attention. The causeway was closed by the high tide, but was starting to recede. 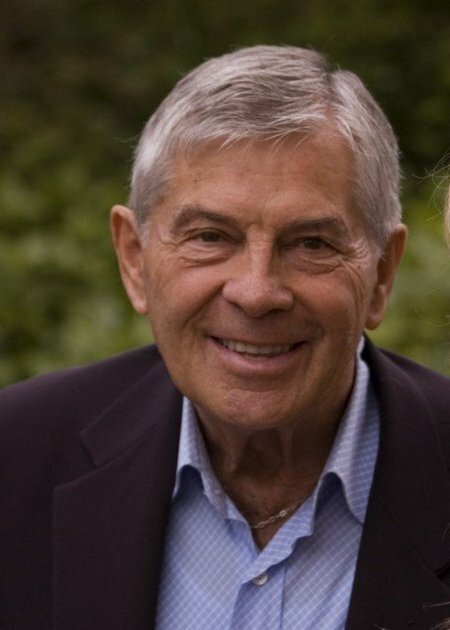 Henry Strzelecki, who died on Boxing Day aged 87, was known universally as “Mr. Henri”. He devoted much of his life to the benefit of others. Born in Poland, he became as English as the next man in his adopted city of Manchester. The transformation was neither easy nor immediate, but it was determined; he did not, however, shun his native land as could be evidenced by some of his later business developments. For some the Christmas Day swim has become a tradition. This is a bit of fun that has raised money for charities over the years. 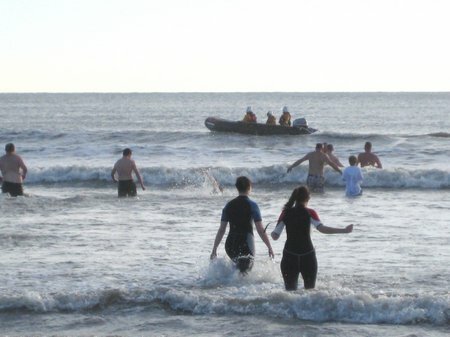 The annual Ballycotton lifeboat Christmas Day swim took place at Garryvoe Beach in East Cork. John raised the lifeboat flag at 7:30am heralding the event that was to take place in a few hours time. It was a fine sunny day and the cars started arriving at the beach from 11:00 am. By 11:50 the car park was full. For some the dinner was in the oven and they were taking time out to support this hardy band of people. For others, they were taking a detour on their way home from Mass. Wherever they were coming from this was not a day to be late. The fun starts at 12 noon on the dot. 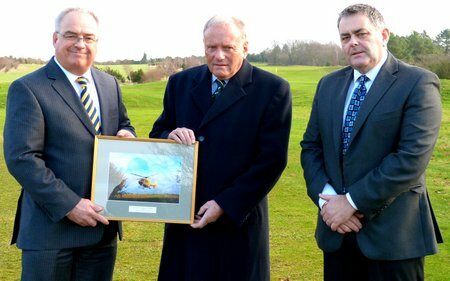 A life saving charity has today thanked members and staff at a local golf course for their help in looking after critically ill patients.